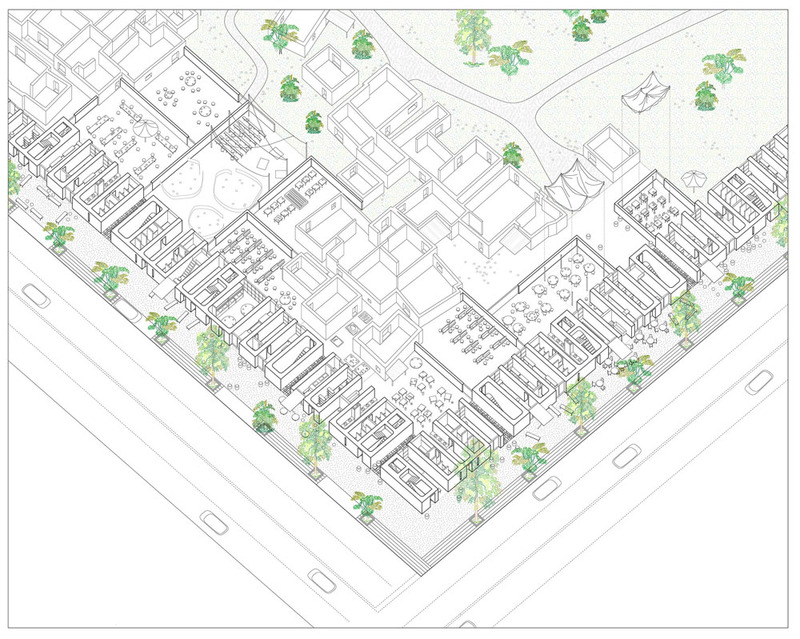 Andrea Migotto’s graduation project presents a new form of dwelling that seeks to challenge the current urban development of Addis Ababa and address the needs of the lower classes living in the slum areas of that city. At present, Addis Ababa is in the throes of an inexorable urban upheaval. Public and private investments, particularly from abroad, are dictating the city’s future. Building production has never been greater. Large parts of the old fabric of Addis are being completly redesigned. Modern high rise and gated communities mark a spatial and social break with the past. The poorer inhabitants are being relocated from the centre to the periphery of Addis, effectively disrupting social unity and job opportunities. My project seeks to develop a narrative approach to developing the slum areas in the decades to come. This is to avoid the total destruction of social and spatial interaction in the centre. It introduces urban ‘frames’ as a prototypical dwelling form for the city. Their purpose is to relate the scale of the city to that of the day-to-day life of its inhabitants. This model advances social cohesion and will result in an inclusive city. 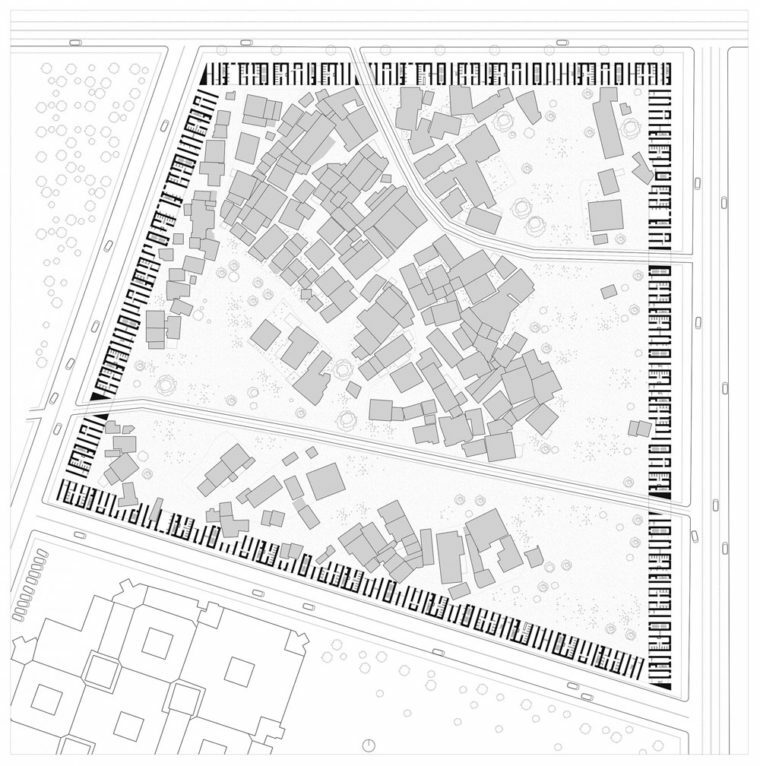 It offers, within the context of the market-oriented logic of Addis’s development, an alternative to current housing production practice in which land value, exploitation and expropriation hold sway. The frames define the new neighbourhoods of Addis. They serve as an infrastructure of basic facilities that makes space for encounter and work. This holds out opportunities for those now living in the slum areas to develop. The frame’s centre is gradually freed of slums and primed to accommodate developments both public and private. 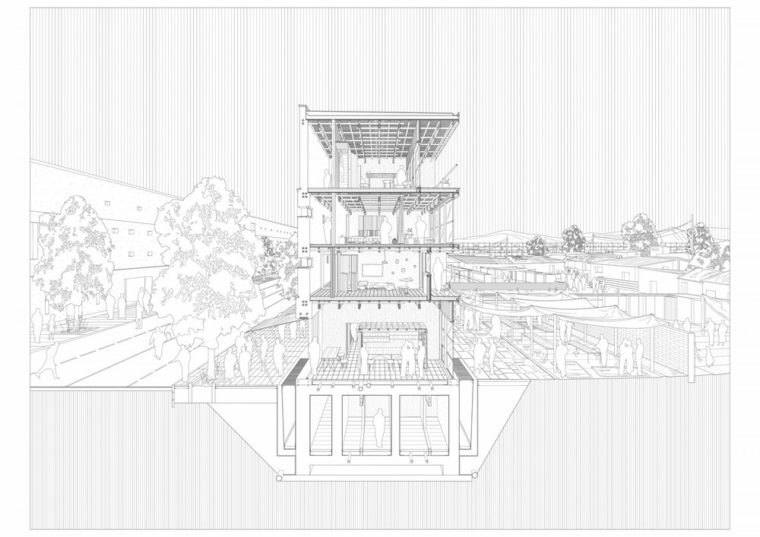 The plan’s formal logic is rooted in a relentless repetition of structural walls which straightforwardly define the internal spaces. The building acts as a backbone to provide a reasonable minimum for its inhabitants to live simply and honestly. In so doing it locks into the customs and ethos of Ethiopian living standards. The spaces are configured so as not to impose a specific use but to accommodate differentiation and growth. Rammed earth constructions enable a flexible and abstract form that allows its spaces to be adapted. Minimal costs and the use of local techniques, rather than importing concrete from elsewhere, pave the way for a less taxing development. * I am sorry dthat I had to answer with a “no comment” sometimes, but those questions need more than a thousand words to answer them, if an answer can be formulated at all.